SNEAK PEEK: "James Bond: Kill Chain"
"...'SMERSH' has activated 'Operation Hooded Falcon', bringing Europe to its knees and 'NATO' to the brink of collapse. 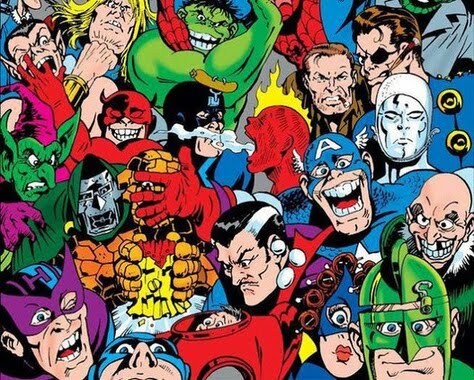 A key ally is about to fall into Russia's grasp, re-drawing the geopolitical map and setting a new foundation for the coming century. 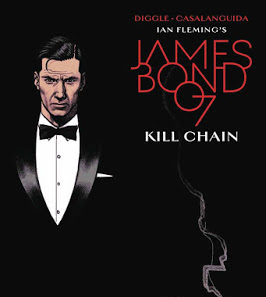 But one man can make a difference..."
"James Bond: Kill Chain" #5: "...as NATO tears itself apart, '007' is declared Europe’s most wanted man. 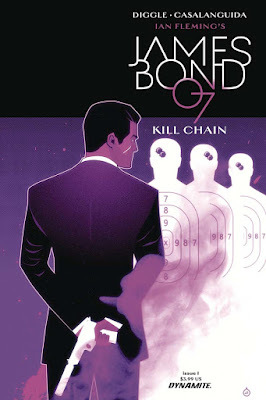 Hunted by 'SMERSH' and the 'CIA', he must infiltrate a nuclear airbase to learn the secrets of 'Operation Hooded Falcon' before Europe erupts into all-out war..."
"James Bond: Kill Chain" #4: "...as '007' closes in on rogue agent 'Rika Van De Havik', a deadly drone attack strikes at the heart of Europe. 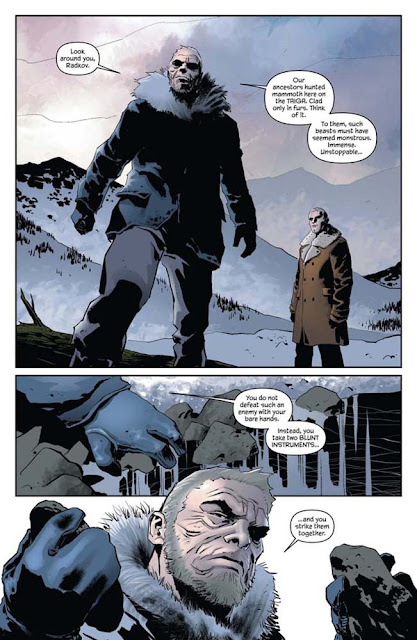 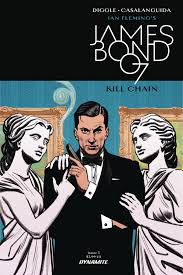 Russia’s covert ops agency 'SMERSH' is plotting to split 'NATO' – by pitting Britain’s 'MI6' against the 'CIA'..."
"James Bond: Kill Chain" #3: "...'James Bond' and the mysterious 'Chantal Chevalier' go head-to-head at an elite auction house that hides a deadly secret. At stake is Bond's life – and the future of 'NATO'. The Russian 'active measures' unit 'SMERSH' will stop at nothing to win this deadly game – but is '007' a player, or a pawn?..." 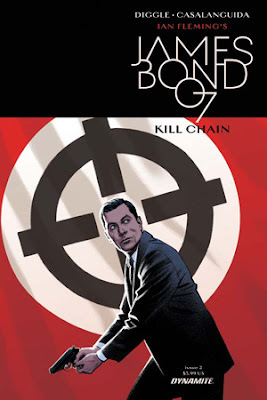 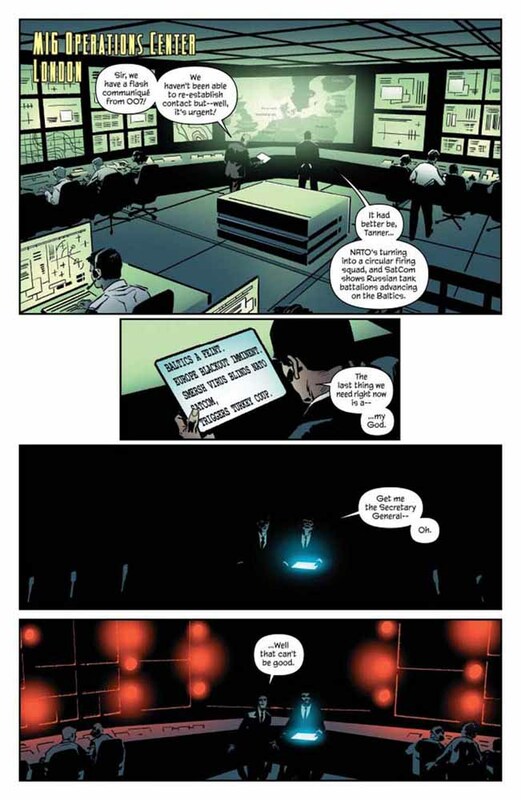 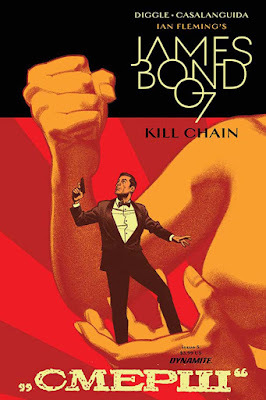 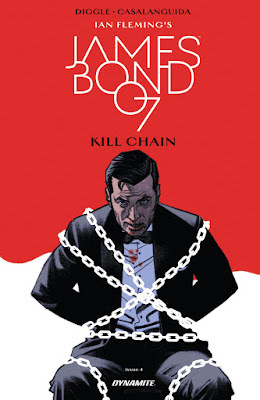 "James Bond: Kill Chain" #2: "...as tensions rise between 'MI6' and the 'CIA', 'James Bond' investigates the death of a fellow agent. 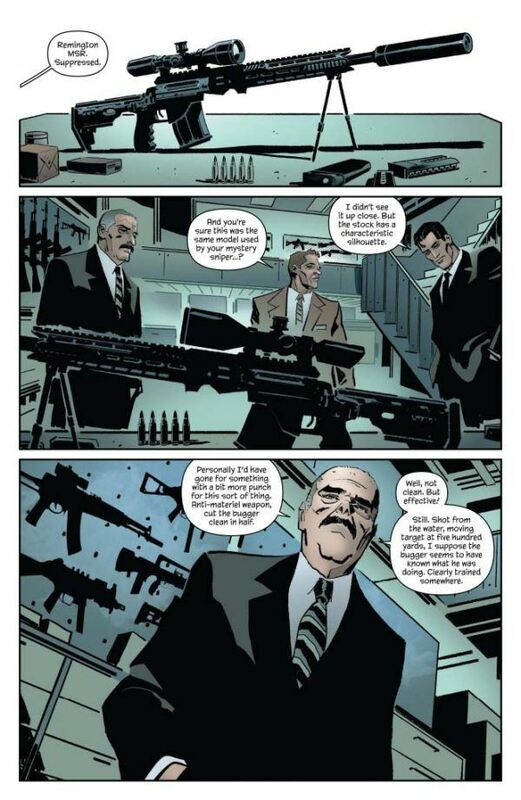 "Someone is smuggling military-grade weapons to European neo-fascists, through an arms pipeline stretching from the gutters of Munich to the upper echelons of Swiss high society. 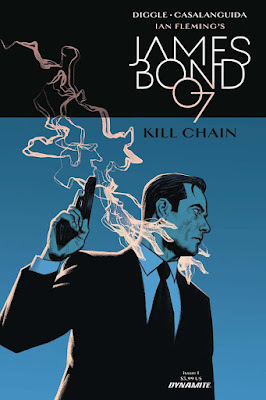 The trail will lead '007' to an old friend, a deadly betrayal, and an enigmatic art connoisseur named 'Chantal Chevalier'..."
"...when a counterespionage operation in Rotterdam goes catastrophically wrong, 'James Bond' finds himself in the crosshairs of a plot to smash 'NATO'. "Someone is assassinating allied agents, and '007' is the next target in the 'kill chain'. 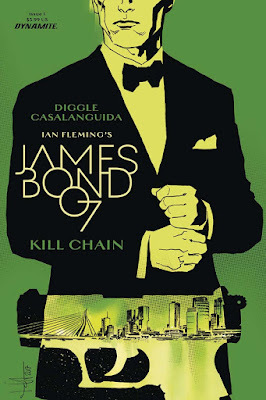 "Having kept the peace for decades, the old alliance is collapsing, pitting 'MI6' against its former ally - the 'CIA'..."